When “The X Factor” judges and contestants all appear in a look, you have to notice it ! The magazines I reviewed for the coming trends now barely mention the balloon skirt, so perhaps it’s a fad rather than a trend. But it’s entertaining to look at the possibilities. In this quiet suburb, I haven’t yet seen anyone wearing matching leggings ! As some of these skirts are fully pleated from the waist, people might think this is good for disguising big hips. But most of these styles are actually worn by people who are very slim underneath. From what I’ve seen, this shape only looks good on less slim people if they have a defined waist and good legs. An easier ‘street’ touch of this look is to have this full shape below the waist or a bubble hem, on a parka or jacket. Or add pleats to a thigh length tunic, as in this McCall’s 5926 cowl neck top. Again this sort of tunic is probably best worn with leggings or slim pants, so won’t flatter everyone. How to make this look ? For a skirt, there is Burda 7610 (picture). Or Onion Skirt 3024 (see Blog roll) has the balloon hem. 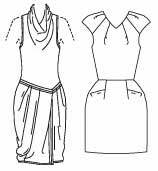 Here are two designer dress patterns with related effect. The Donna Karan dress (left) (Vogue 1119) has a draped hem. The Alice + Olivia dress (right) (Vogue 1122) has the similar style of bell shaped hips. Marcy Tilton has a lower calf length skirt (Vogue 8499). For the Waist, use pleats which widen at the outer end. If the pattern you start from has straight pleats, angle them out. Angled pleats are like unsewn darts. Interestingly, there is no picture of an angled pleat in my favourite instruction books. It’s a good idea to try on with pleats basted, before sewing. Then you can check and adjust the pleats if necessary, so they don’t bulge and buckle and have strain lines. As someone with high hips, I know these peculiarities can be disconcertingly likely in pleats over the hips ! The pleats may be unsewn, or sewn part way down. Probably unsewn pleats, which have a bulkier effect, are better on slimmer people. To get the proper balloon effect, the fabric needs to have some body/ stiffness. Otherwise you will have to add some support interfacing under the pleats. For a strong look this might be a good idea anyway. Though for larger people who just want to give a suggestion of the style, boosting the amount that the pleats stick out is not so good ! In fact. I think on larger people it’s better to make the strongly curving shape below the waist using curved darts rather than pleats – gives the shape without the bulk. One is simply to add pleats at the hem. They may be free or sewn down. They can match the pleats at the waist or not – experiment with how many look good on you. 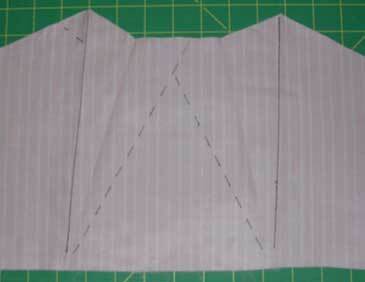 Make a straight or slightly A-line skirt lining, 2 – 3 inches shorter than you want the finished skirt. Ir’s best to make the lining fitted with darts at waist, to minimise bulk. Make the outer skirt 2- 3 inches longer than you want the finished length. b. 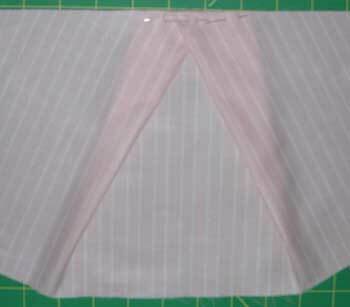 With right sides together, either pleat or gather the outer skirt hem onto the inner skirt hem. Turn them right side out and baste together at the waistline. c. Then do closure and waist treatments. It might be a good idea to make a ‘muslin’ trial garment to test the effect ! This entry was posted on October 10, 2009 at 8:41 am and is filed under current fashion, pattern making for clothes, sewing technique. You can subscribe via RSS 2.0 feed to this post's comments. Both comments and pings are currently closed. Yes, but where is your tunic for our sew-along? Seriously I am very much enjoying your relation of fashion trends to available patterns. FYI I have just scanned this year’s BWOF fashion pages, so email me if you’d like them to look through for your patterns as well.